In this article Mark Ford talks about the importance of getting some home business education and gives you access to some complimentary 7 day home business training. From when we are young it is instilled in us that we need to educate ourselves in order to become successful in later life. The conventional way of education is set up for the traditional way of life in which we get educated to get a good job and strive for promotion and we do that for 40 years and then retire. All of that time we are conditioned to trade our time for money. That system is somewhat flawed now because the system we all go through is educating people for jobs that now do not exist and ones that will not be there in the next 10 years. Home business education is not taught in the traditional education system, so that is why many people who are looking to start a home business look online for help and assistance to get up and running with their new home business venture. There is a lot of home business education available. You only have to go onto Google to search for home business education and you will find lots of websites with content on this topic. Carrying out that search is maybe how you ended up on this webpage. I have been a home business owner for over 20 years and for the last few years I have been helping people develop and grow their home businesses with great success. The economy is changing rapidly and has been transformed over the last 10 years into what is now called the digital economy. This new economy is booming as people’s buying habits have changed significantly and people are completely comfortable purchasing their products and services through the internet. 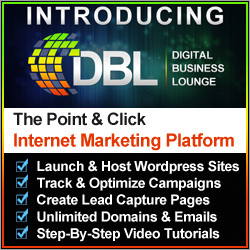 So there has never been a better time than now to start a digital home business and I have the perfect home business education resource which will show you how you can tap into the digital economy. With the digital world as advanced as it is, it makes it very easy to consume the information that we need. There are many formats available including video, audio and downloadable files that you can print out or save to your computer. This gives people the flexibility to learn in their own time and even on the move when you can access the internet to view the content. 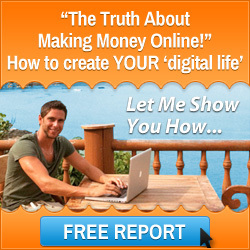 Also you have the opportunity to implement things straight away into your online business and see results. So with that in mind I would like to give you access to a complimentary 7 day home business education series. My home business mentors have already shown thousands of people how to create a life and business that they love. Will you be the next? – Click the image above to register for this home business education course. Hosted by two very successful internet marketers Stuart Ross & Jay Kubassek you will discover over the seven days the processes that you need to out in place to start a profitable online business from scratch. Day 1 – A personal message from the co-founders where they speak about their stories and how they can help you. 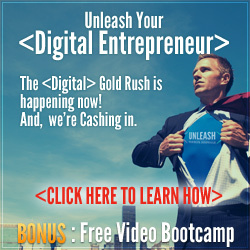 Day 2 – How to cash in with the digital gold rush through having an internet connection and a detailed explanation of the process of making money on the internet. Day 3 – How to overcome the technical issues that hold many people back from starting an internet business and see the resources that the Six figure Mentors offers. 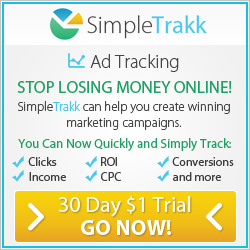 Day 4 – You will learn a specific strategy that generated over $480,000 in 18 months. Day 5 – Here you will learn the importance of having more than one income stream. Day 7 – You will hear from two brothers who are a product of the product where they explain how the Six Figure Mentors system has helped them develop a global brand. Get ready to experience a whole different way of thinking! This home business video series and membership offers an education and journey unlike anything else in the online business or Internet marketing world. This is an exclusive private community of like-minded members who are either already living, or in the process of creating their ultimate ‘digital life’. To register for this home business education course and get started today click here. The above resource is one of the best home business education courses that is currently available. It is free so register for the course and start your digital economy journey today. I wish you every success in running your home business from anywhere in the world and profiting from home business education. This entry was posted in Home Based Business, Home Business Coach, Six Figure Mentors and tagged home business coach, home business education, mark ford. Bookmark the permalink.